Headed up by Syke Gyngell, who aims to make the venue plastic free by next year, Spring is nestled within the stunning quadrangle of Somerset House on the Strand and oozes minimalist charm. 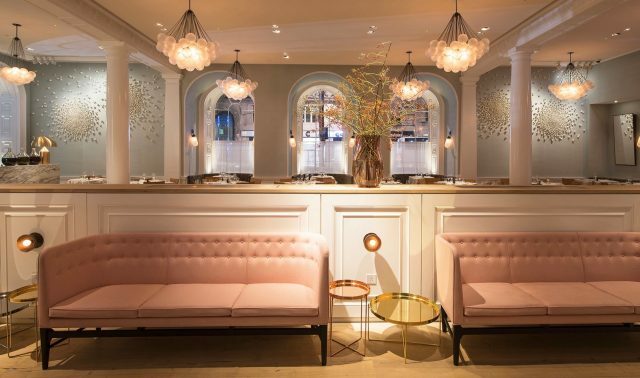 Housed in a former 19th century drawing room, white walls are interspersed with flashes of pastel pink, which is found both in the quirky light fixtures and upholstered chaise longue seating. White columns and arches add to the elegance of the space.